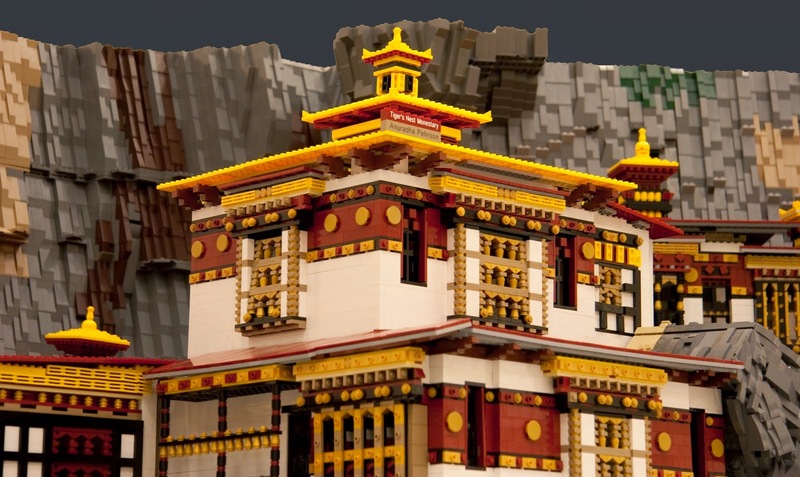 green tea: Bhutan's Tiger's Nest Monastery built from LEGO! 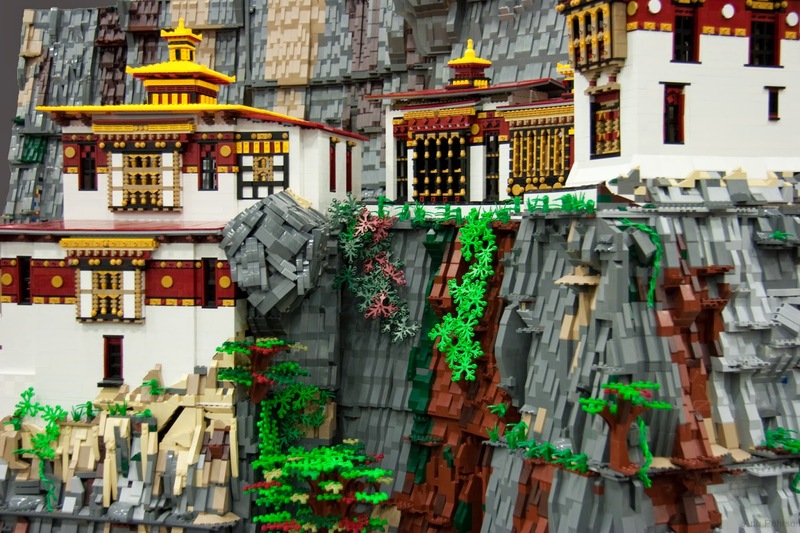 Bhutan's Tiger's Nest Monastery built from LEGO! Wow. Add another one to the list of non-Bhutanese people inspired by Bhutanese culture! Lego is one of the most popular toys in the world but it may not be familiar to everyone: Lego is a type of construction toy that primarily consists of interlocking plastic bricks. From Wikipedia: "Lego bricks can be assembled and connected in many ways, to construct such objects as vehicles, buildings, and even working robots. Anything constructed can then be taken apart again, and the pieces used to make other models." For Anuradha Pehrson, Lego is more than just a hobby or a children's toy. Anuradha is originally from Pune, Maharashtra, India. She says that Lego wasn’t well known in India when she was growing up. She was lucky enough to have been given a small house building Lego set when she was around seven - she loved inventing different ways to assemble her small set of bricks. Over 20 years later, Anuradha moved to Seattle, USA and rediscovered Lego. She also found a community of other creative people who share her interest in architecture and model building. 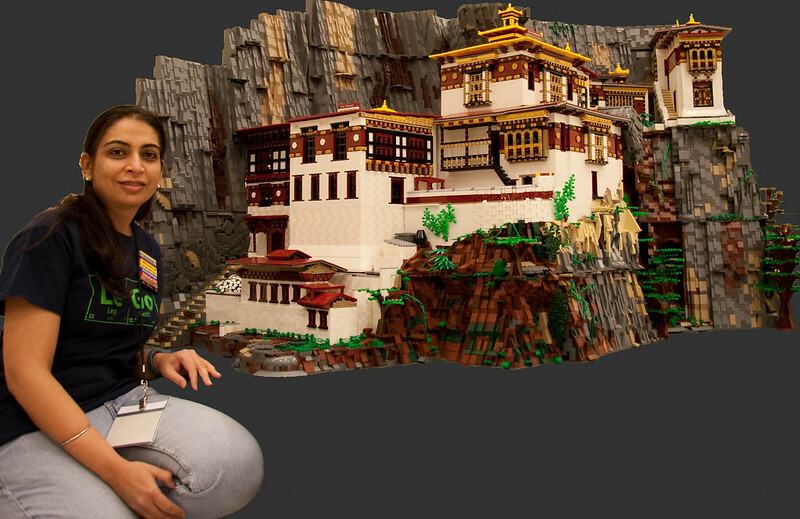 Last year, Anuradha built a very large and detailed Lego model of Bhutan’s iconic Tiger’s Nest monastery (also known as Paro Taktsang). She did not simply go to a toy store and buy a Lego set for the Tiger’s Nest. 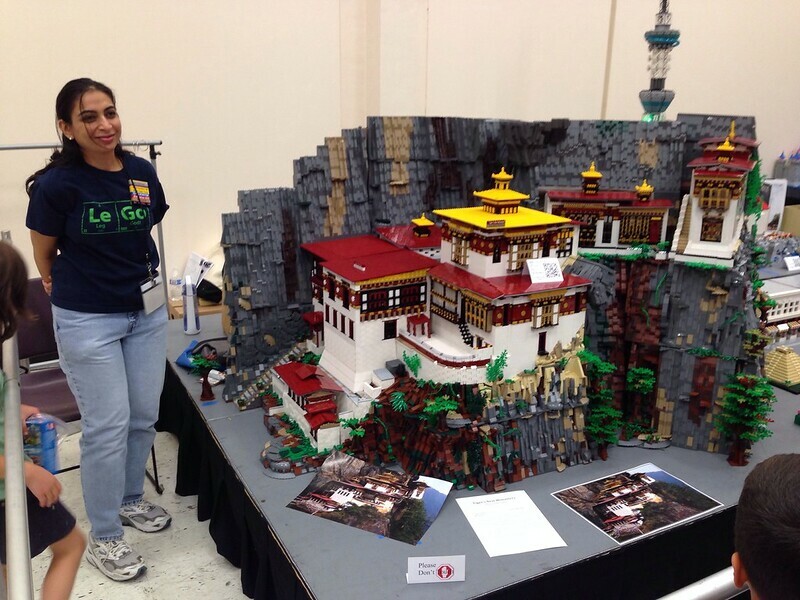 Anuradha spent eight months creating the model with approximately 150,000 Lego parts. She clearly has a lot of ingenuity to be able to construct a replica of this unique and scared place using only standardized parts. 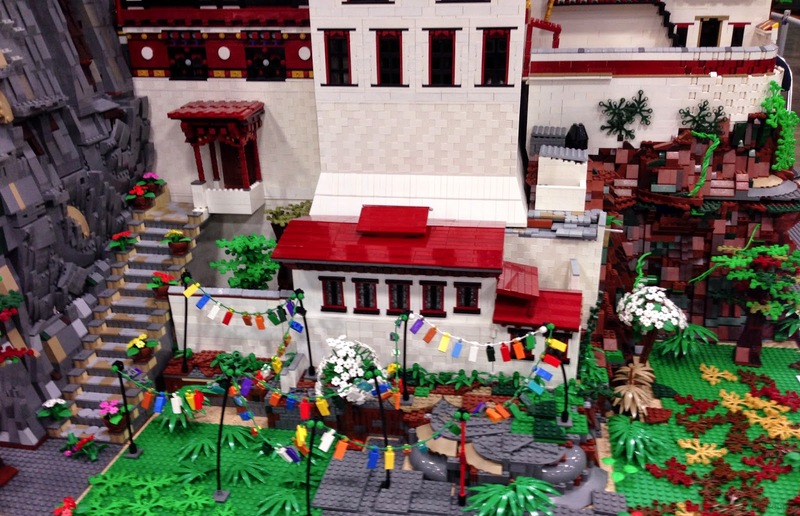 Anuradha was kind enough to talk to GreenTea about her Bhutan-themed Lego masterpiece. - How did you first learn about the Tiger's Nest? Architecture from around the world is a subject that fascinates me. I'm not an architect but like to design and build interesting buildings and structures. For inspiration I look for pictures of buildings and structures from different parts of the world. I came across a picture of Tiger's Nest on one of these searches. As soon as I saw these pictures I was blown away. The buildings were so beautifully made in harmony with the surrounding nature. I was also impressed by the wood carving work. I read somewhere that in 1998 a fire destroyed some parts of the buildings and they were rebuilt as close to the original with the help of photographs. The thought that people put in so much effort to build something so high up in the mountains, without disturbing the beauty of the place left me speechless, I can't even imagine how they had originally managed this is 1692. I instantly wanted to build a replica in Lego. - How were you able to build such a detailed replica without ever having visiting the place? I had pictures from two different angles. I studied them for a long time. The difficult parts were the windows and the big rock section that 'juts' out. The monastery has beautifully carved windows. I built many different versions, until I thought I had achieved a similar design. The big rock was very difficult to see from the photos available. There is a tree right in front of it and from the side, it is covered by a window and roof. Finally I figured it out and built it. There were many iterations to each section and a lot of trial and error. - Did you build this Tiger's Nest model for a particular occasion or competition? Yes, I built this for BrickCon 2013. 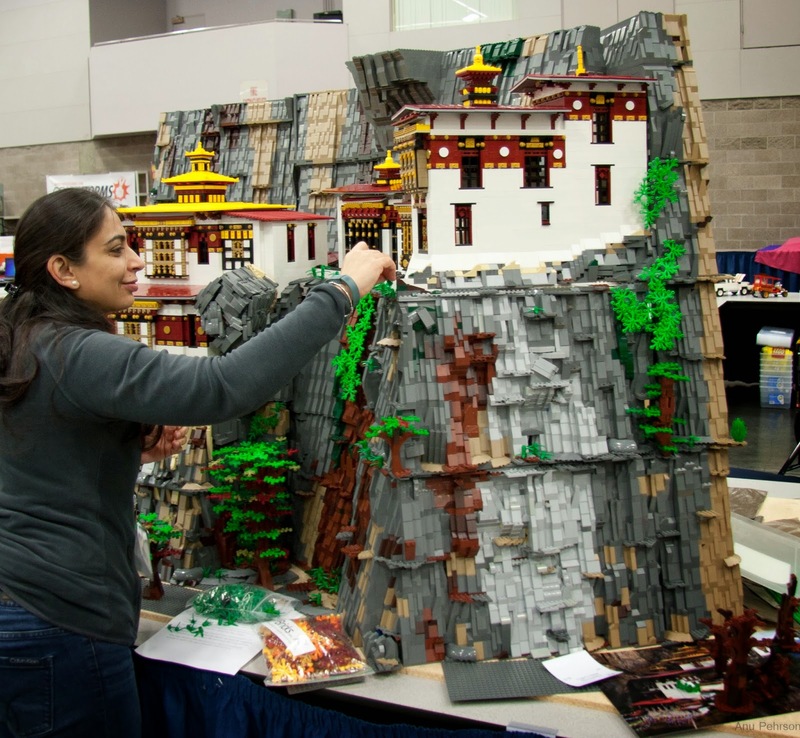 It is a Lego Convention/Exhibition held in October in Seattle. This model won two awards here. 'Best Architectural Style' and 'People's Choice Honorable Mention’. Al Pacino the popular American actor had come to see this show with his son. He liked this model very much. He talked to me about it and also took a picture with me. I also displayed this model at BricksCascde 2014, another Lego exhibition held in March in Portland, Oregon. This model won 'Best in Show' there. 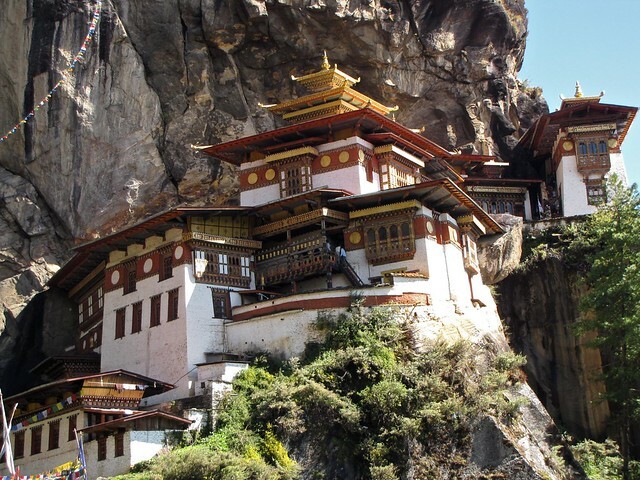 - Do you have any plans to visit Bhutan and the Tiger's Nest yourself? Yes, absolutely. I hope to do so in the next few years, but don't have any fixed plans. - What are you working on now, Lego-wise? - What else you would like people to know? Two things. First, I am a spiritual person. I understand the concept of 'Guru' and disciple. I think it was always at the back of mind while building this monastery that this is a spiritual place. Gurus have done a lot of meditation and 'sadhana' here. I also know that I was able to build this successfully because of the Grace of my Guru and God. 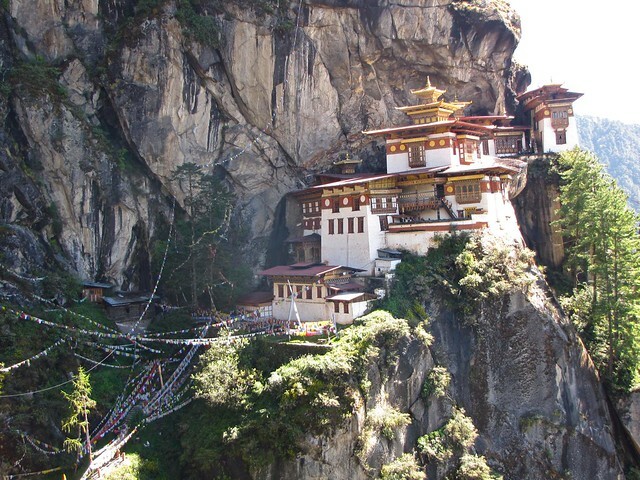 Second, I think Bhutan is a beautiful country. I love the way that they have stayed true to their culture. I haven't met any people from there but I'm pretty sure they are very nice and friendly and I think their food looks delicious! I do hope to visit very soon. Above, some of my pics of the real Tiger's Nest and below, Anuradha's interpretation. 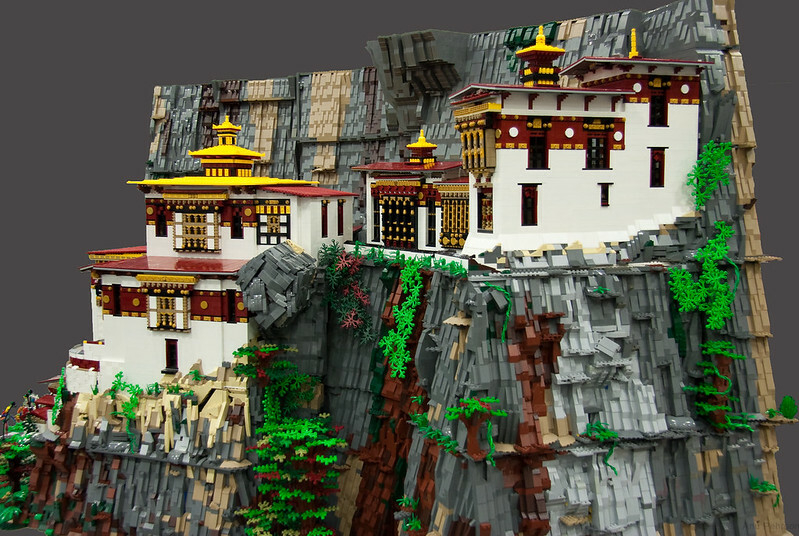 Take a closer look: the cliff-face setting for the monastery is rendered so perfectly, and she even included the small details like prayer flags and vines. Congratulations, Anuradha, on your amazing project! All photos are courtesy of Anuradha Pehrson unless otherwise noted. More photos of this model are here. There's are two short BBC videos about the Tiger's Nest here and here. wow thats amazing. amazing work. An amazing piece and lovely write-up! Thank you. 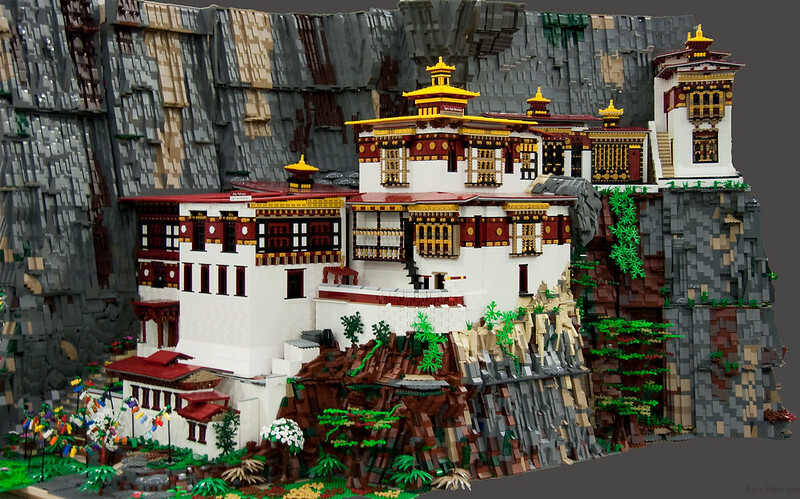 I am deeply impressed by the lego especially since i aspire to visit the place...i saw it from afar, from the Paro valley far, far below...maybe i will reach there one day! I had to come back and look at the pictures again. So impressive! 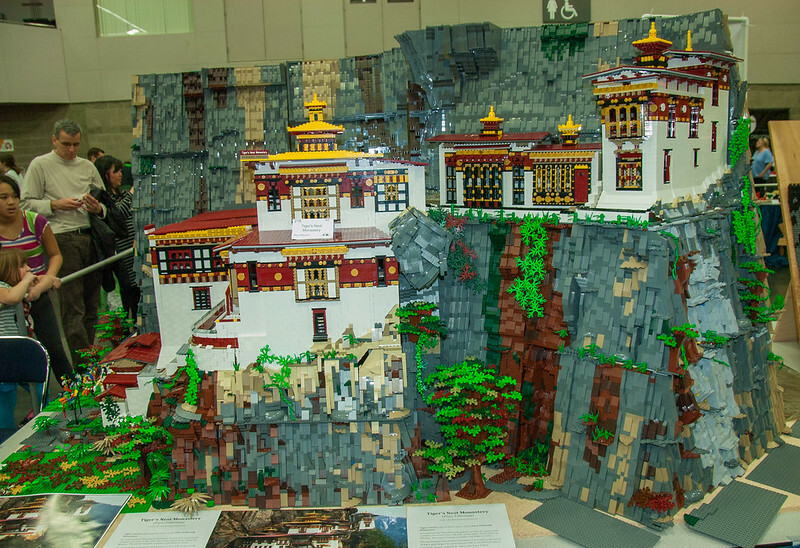 I want to both play with Lego and visit Bhutan right now!